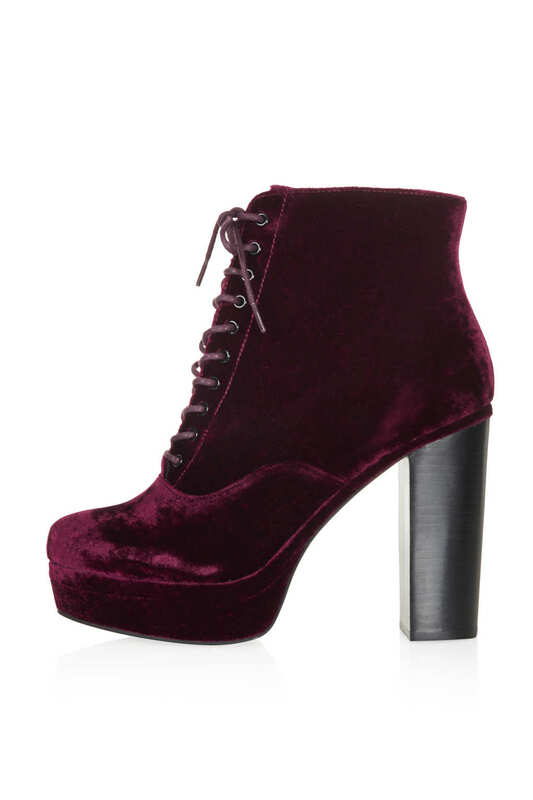 These lovely little purple velvet booties from Topshop are rather good. They come in at well under £100 and are rather festive, also adding in a delightfully wicked edge to any little flippy dress, and are a welcome change from the endless stream of more obvious heels. 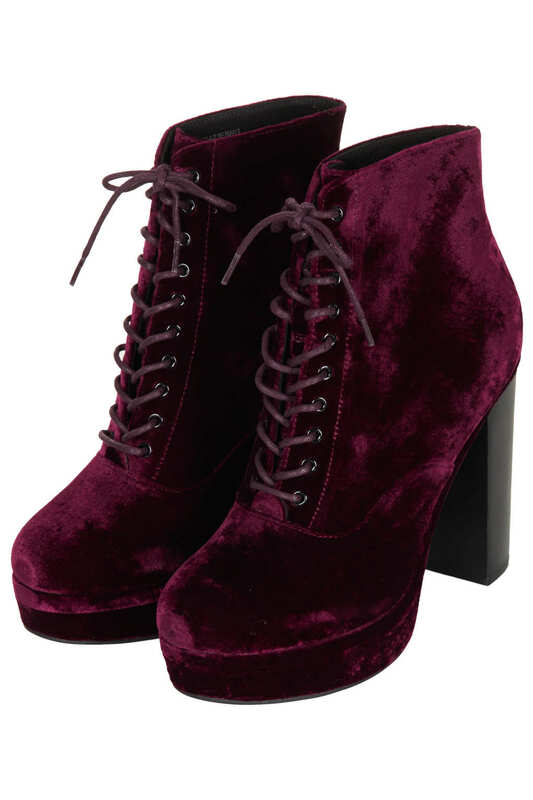 They also are like a more refined Jeffrey Campbell Lita boot, and manage to take a nod from the original and then come up with something even better.